Today, the 4th Eastern Economic Forum started its work on the Russian Island. This large-scale event gathers thousands of representatives from the mass media, business and government authorities of the the Asia-Pacific Region countries. The plenary session will be attended by the President of Russia, Vladimir Putin, prime-ministers of South Korea and Japan, as well as other world leaders. We are also among the participants of the Eastern Economic Forum. 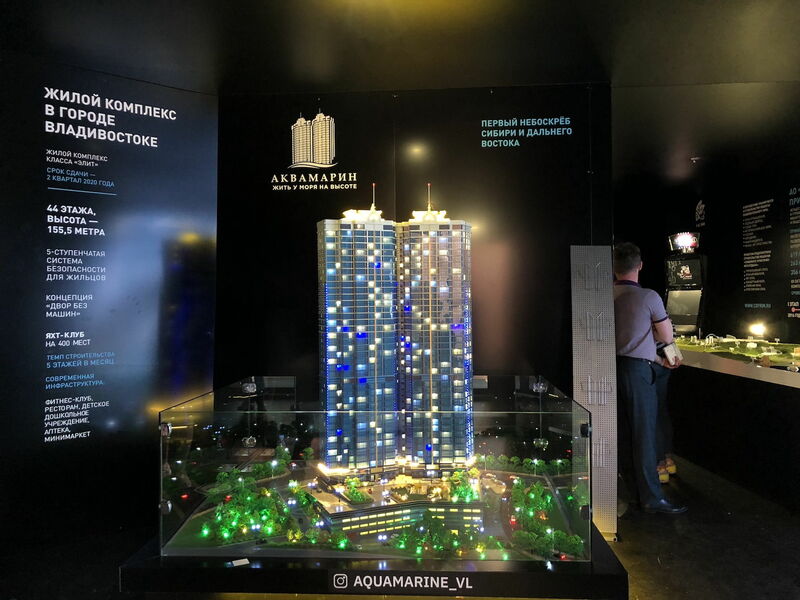 Among other VIP events, there will be a presentation of the new iconic landmark of the region: multifunctional complex Aquamarine, the tops of the towers of which point directly to the common future of Vladivostok and its foreign neighbors. The exhibition pavilion, which houses the mock-up model of the residential complex, is located on the territory of the Far Eastern Federal University Waterfront in the Primorsky region pavilion. We look forward to welcome the guests of the Forum, and later, during the weekend, we will be glad to welcome all the people willing to get familiarized with our project and to obtain all the information that might be of interest to them.